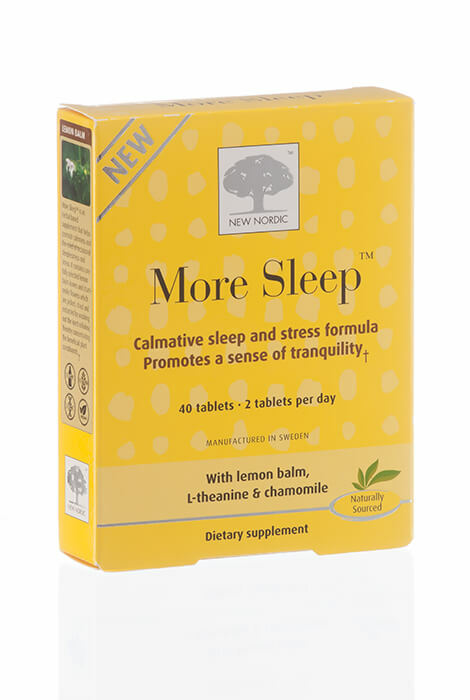 Relieve stress and maintain a normal restful sleep with this calming formula. The unique micronutrients and herbal extract combination in each tablet promote relaxation and allow you to wake up refreshed and rested. Lemon balm, L-theanine and chamomile work synergistically to reduce sleep disturbances and create a sense of relaxation. The naturally sourced formula contains no melatonin. To use, take 1 tablet when needed to relieve occasional daytime stress. 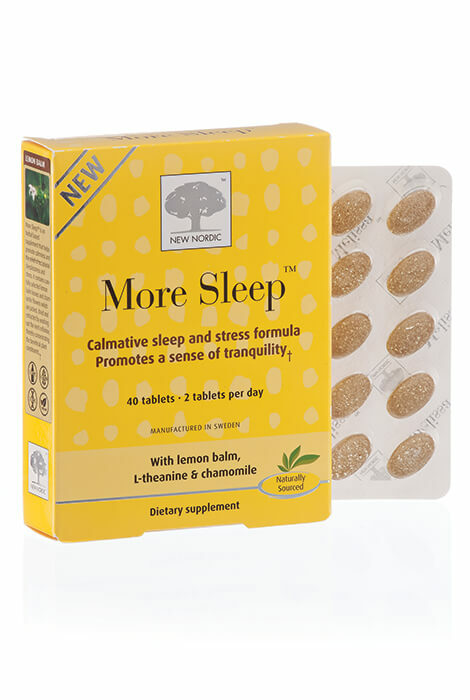 To promote restful sleep, take 2-3 tablets 30-60 minutes before intended sleep. Relieves occasional stress and sleeplessness. Manufactured in Sweden. Not recommended for use with sedative acting products or alcohol. Avoid using if allergic to plants of the asteraceae (daisy) family. Contains 40 tablets.